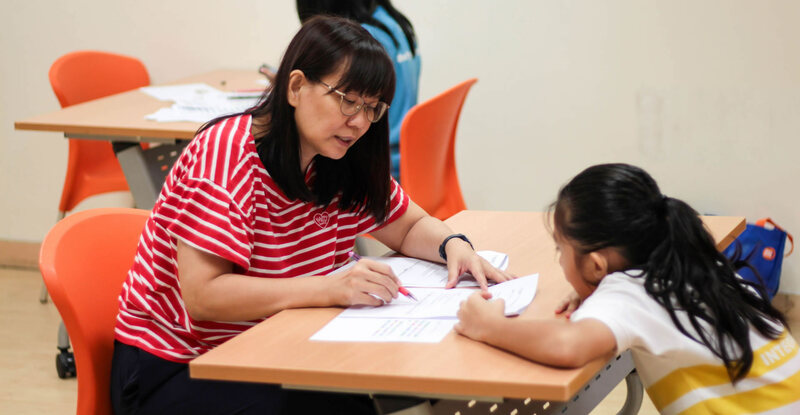 The tuition programmes for both primary and secondary school students aim to provide an area of support for students by motivating and instilling confidence in them to better cope with their studies. The FaithActs Youth Hub is a safe, cosy, and vibrant place for youths to hang out and interact with their buddies. With meaningful activities provided, youths are given opportunities to chill out and find new friends with similar interests. Volunteers must be comfortable with teaching children how to cook. They would need to come up with recipes that must be tested a day before the actual session. A team of passionate and professional volunteers will help to develop the curriculum and guide the children through each session. There will be a pre-and-post assessment of the children to monitor the progress of each child. The Early Learning Programme Plus (ELP+) is done in conjunction with EDIS Cares and is targeted at Primary 2s who are weak in English. Volunteers helping out would be in the specialized and supervised exercise programme with the seniors, guiding them to work on different equipment that strengthen their limbs. Grey Matters provide education on skill-based talks and training conducted by professionals to enhance the seniors’ knowledge on their social and self-care needs. We are delighted to be invited by SingHealth-PC2010 Organising Committee to the tea reception held at the Istana. It brought us much joy to see our FaithActs youth performing for His Excellency President S R Nathan, Mrs Nathan and the invited guests. Since we started the Junior Chef programme this year, Amirul (15 years old) has enjoyed it immensely, learning well and winning the monthly competitions. I'm trying to teach my children filial piety. We need to step into the real world where people grow old around us. They are opportunities to practice piety in real life. Furthermore, if we want to teach piety and respect, we have to start with ourselves. I know about filial piety through the way my parents cared for my grandparents and others around them. I have a deep respect for elders and I want my children to develop that aspect of their character. And to do so, I need to practice what I preach. So volunteering becomes a lesson in life for my children. Joining FaithActs as a volunteer has helped me really understand the saying, "everybody is good at something." FaithActs youth have so many different talents and strengths and to me, the most rewarding thing is watching the youth get better at what they do and in the process feel more self-worth and confidence. As I get to know them better, I am also rewarded with a group of encouraging and really funny friends! If only there were more volunteers to experience this joy! I saw the poor living conditions of the people in Tanglin Halt. The clients of FaithActs who received our groceries were appreciative. I felt there are many things to be done for them. It was heartening that many of the residents know about FaithActs when I did the recent needs survey. The youths about the tuition, youth hub and the elderly about the WOW Workout and health screening. I am happy to be a part of the work of FaithActs to the Tanglin Halt community. The scholarship has helped not only me but my family, especially my dad. He is the sole breadwinner in the family and he works so hard to see me through school. With the scholarship, he can set aside money for other needs in the family. I know many members who are actively participate in the activities of FaithActs. For me, my involvement has been, commit to pray for its work and contribute through whatever small financial means I have. The programme was useful because it highlighted various aspects of a married life or the preparation for married life that couples might overlook or not know about. In knowing what to look out for, a couple that is looking to prepare themselves for marriage can talk about these issues first or discuss with each other their perspectives and opinions on these matters before we actually encounter these problems." If you would like to volunteer do please complete and submit the Volunteer Form below.